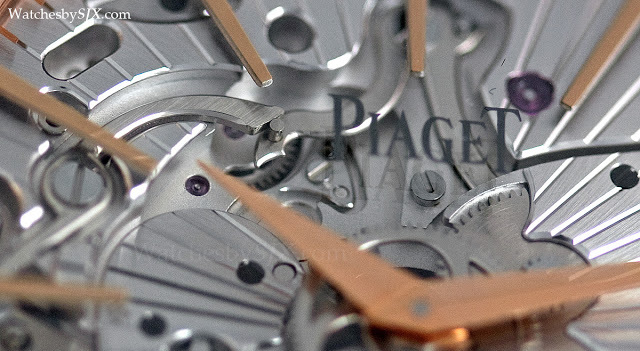 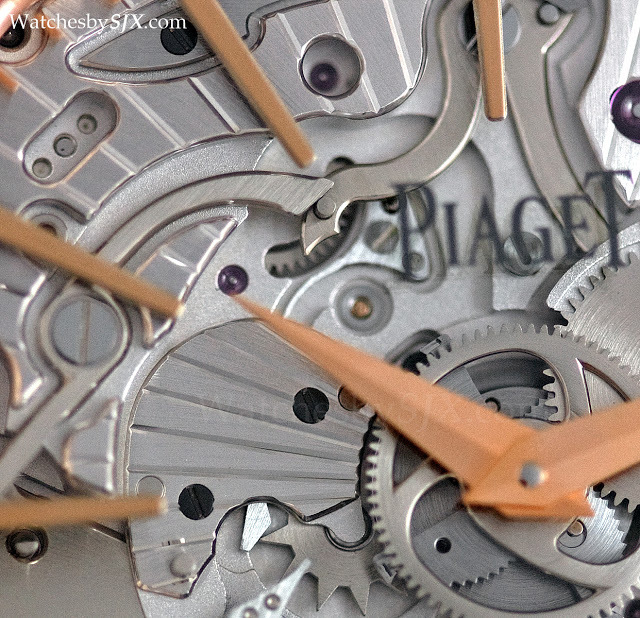 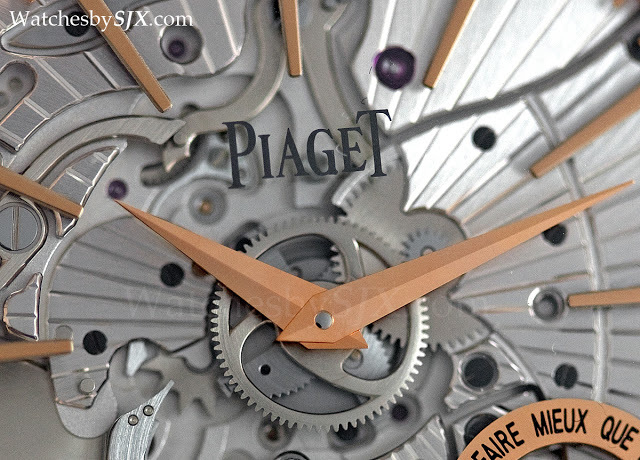 Piaget is of course well known for its ultra-thin calibres, and this repeater is based on the 1200P movement. 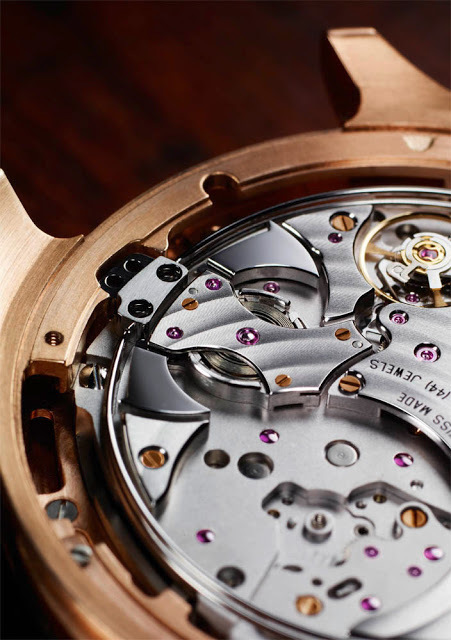 With the minute repeater integrated into the movement – the 1200P was constructed to allow for complications – the calibre becomes the 1290P. 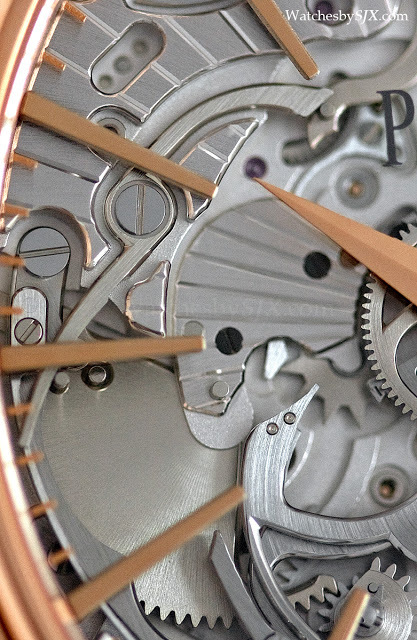 At just 4.8 mm high the 1290P is remarkably thin by any standard, let alone a repeater. 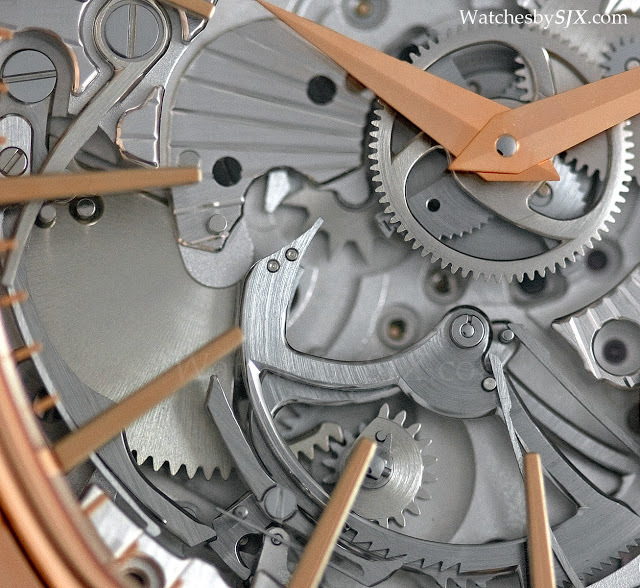 Despite its slimness, the watch is water-resistant to 30 m, and also has a 40 hour power reserve. 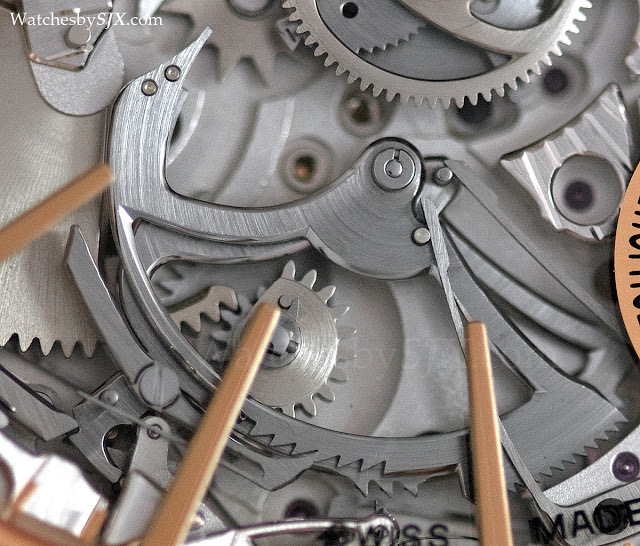 Though it is thin, the watch is not small. 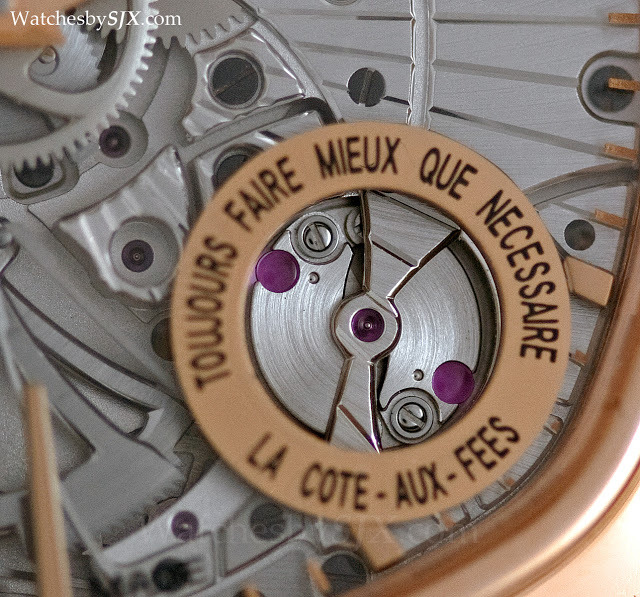 It is 48 mm wide, but still elegantly shaped. 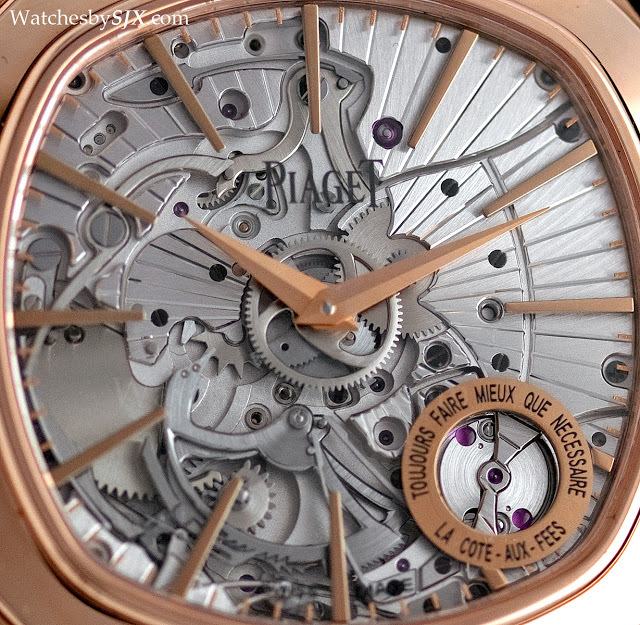 Most of the inside of the case is hollowed out, so as to maximise resonance. 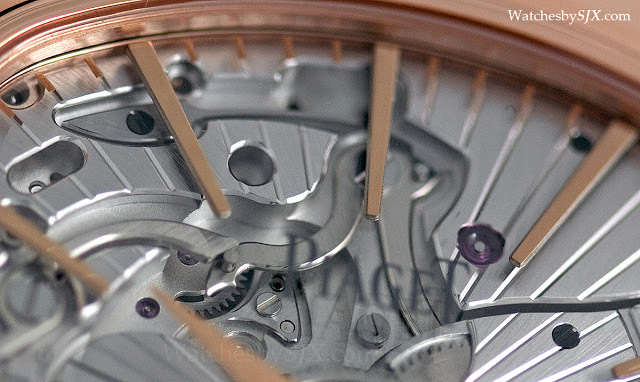 The movement is also attached to the case at four points, instead of the usual two, so as to ensure full transmission of the sound waves through the case. 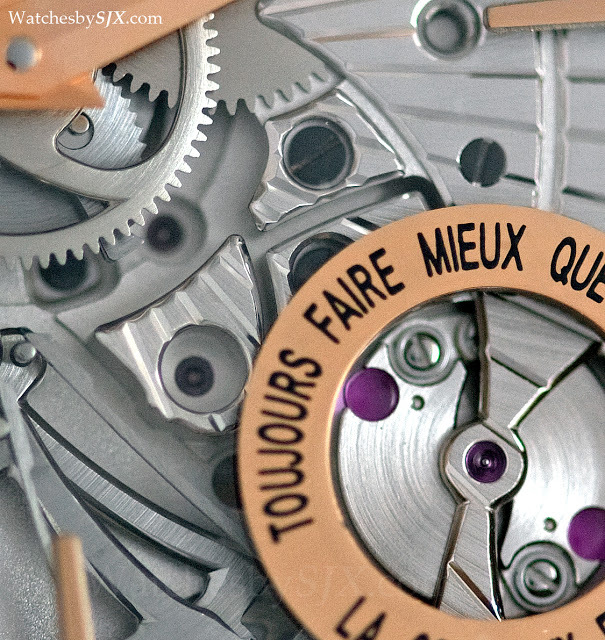 The result is a striking mechanism that is loud. 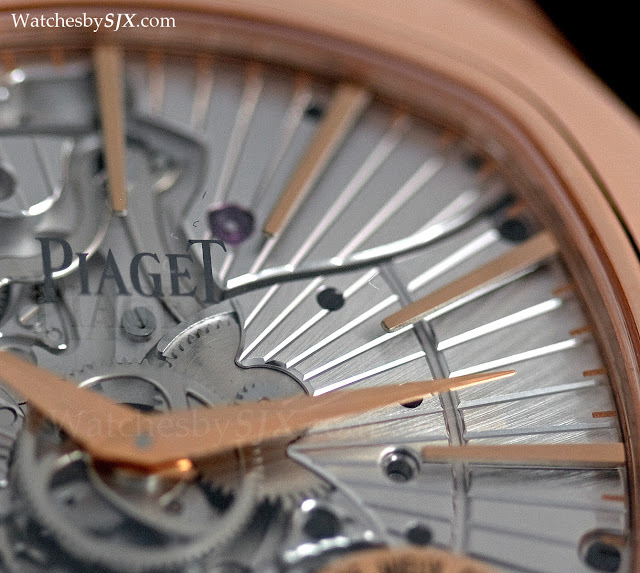 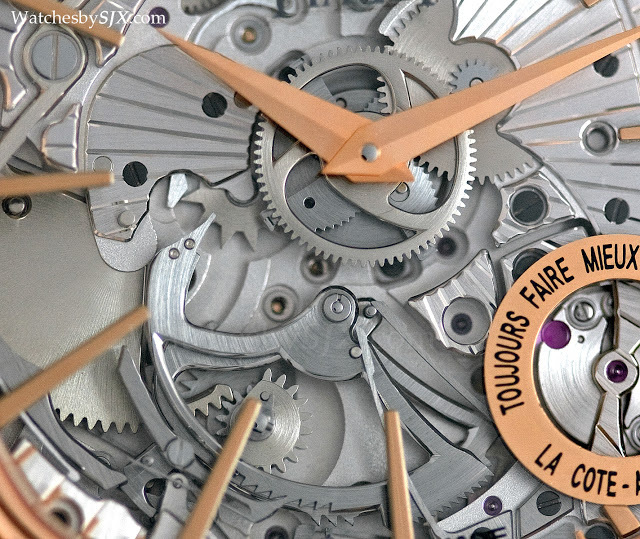 At 64 decibels, it is comparable to the repeaters from Cartier and JLC. 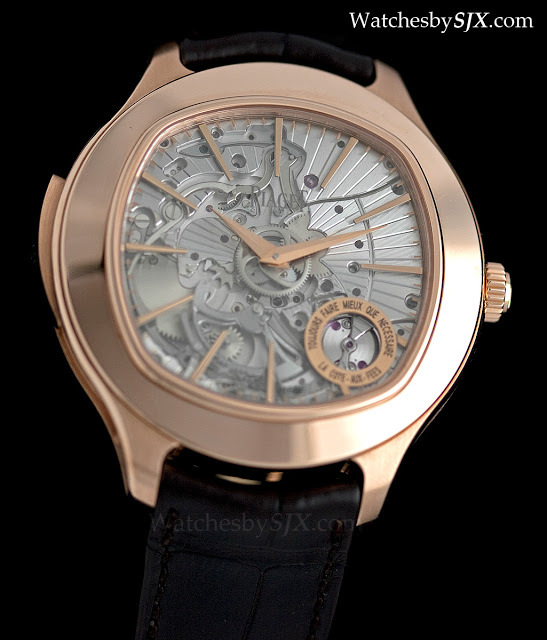 And it also sounds good, with excellent tone and pitch, though not quite as sweet as the legendary minute repeaters from Patek Philippe. 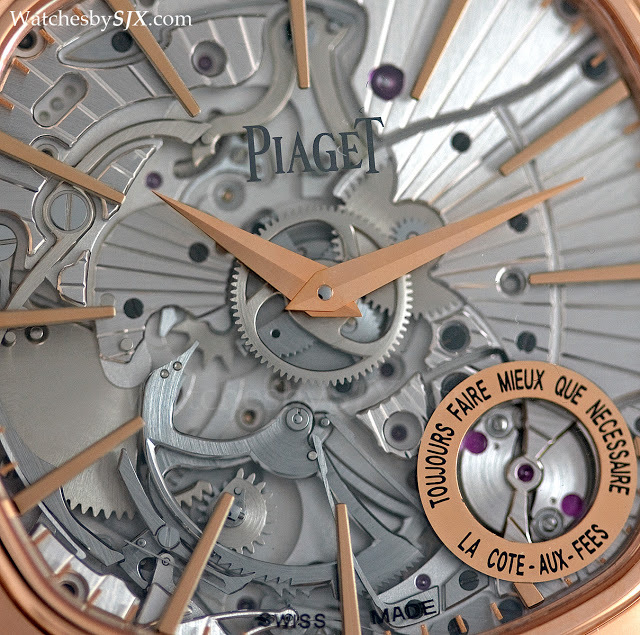 And this repeater from Piaget also excels in finishing. 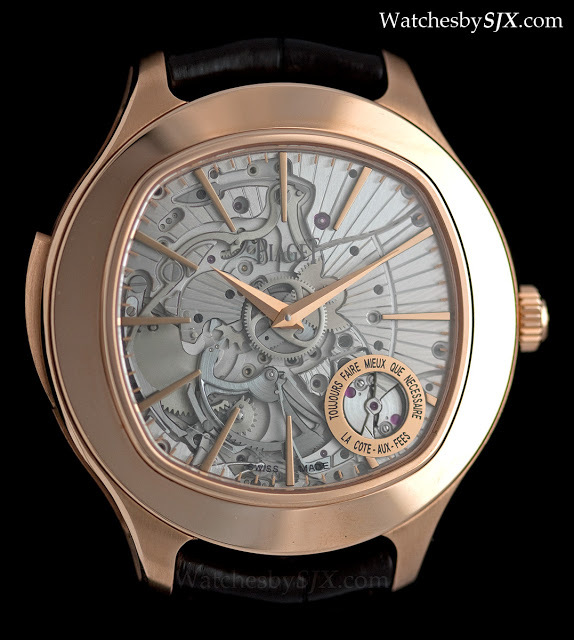 It exhibits a truly excellent level of movement decoration, particularly through the open dial which reveals the repeater mechanism.